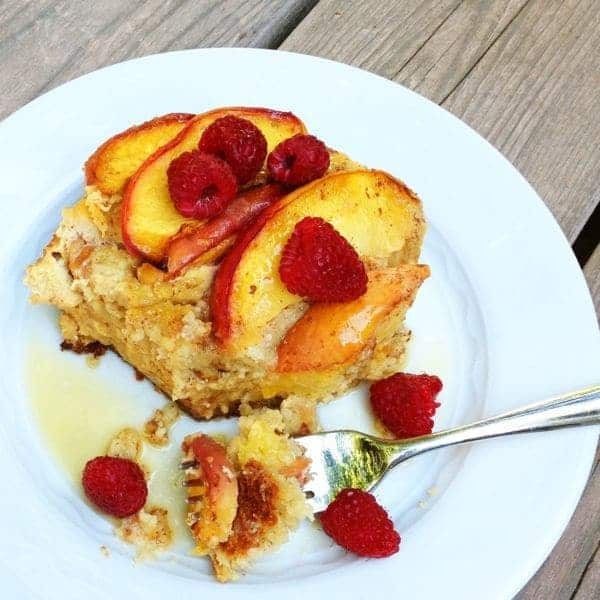 The perfect make-ahead breakfast or brunch recipe, your friends and family will love this easy and delicious Apple Raspberry French Toast Bake. We love splurging on crusty, artisan bread from a local bakery on the weekends. 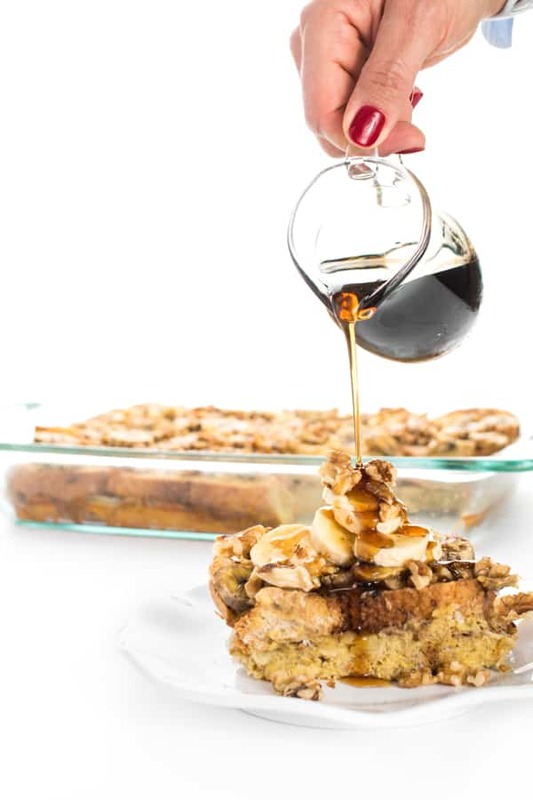 This overnight french toast bake is the ideal use for bread that is starting to get a bit stale but is too good to waste. 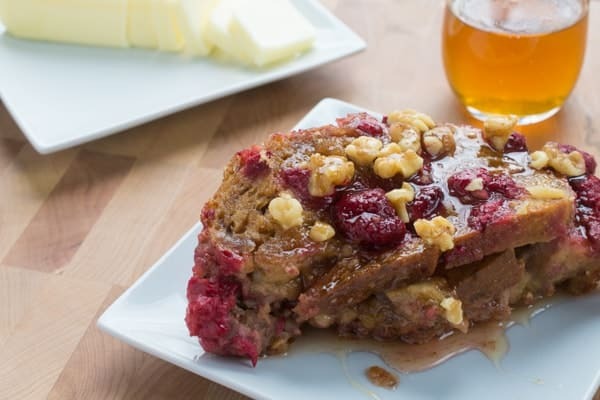 Made with chewy, whole grain bread, ripe raspberries and cinnamon-spiced apple butter, this ultimate baked french toast recipe is ideal for entertaining or feeding a hungry family. For added protein, omega-3’s and a crunchy texture, I like to top the french toast bake with chopped walnuts. You can always swap out for pecans or almonds – just use whatever your family likes best or feel free to omit entirely. 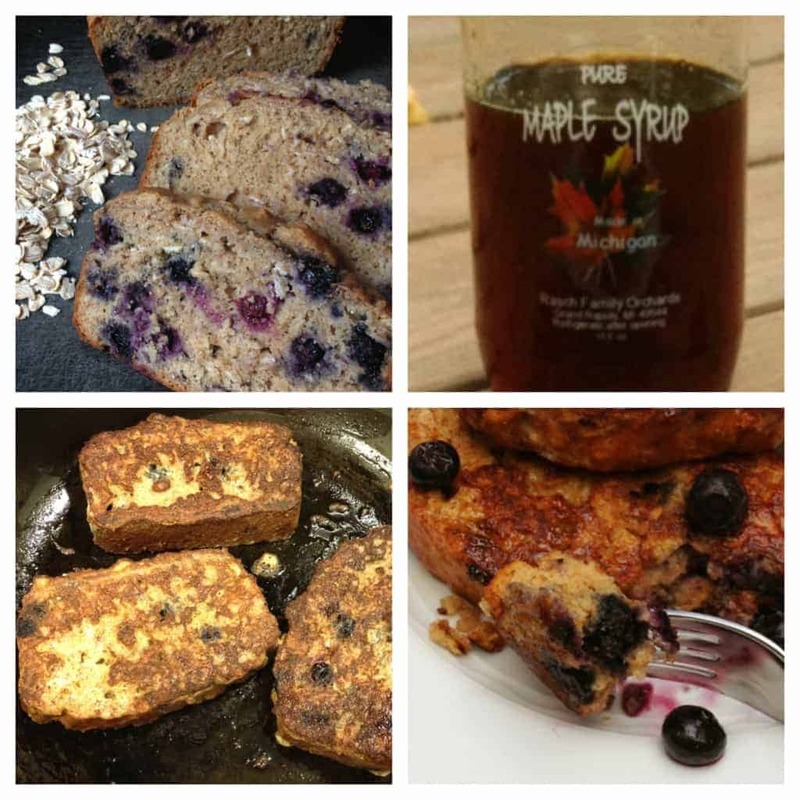 With berry season around the corner, this versatile breakfast recipe works great with any type of fruit including strawberries, peaches, blackberries and more. Just don’t forget the pure maple syrup. 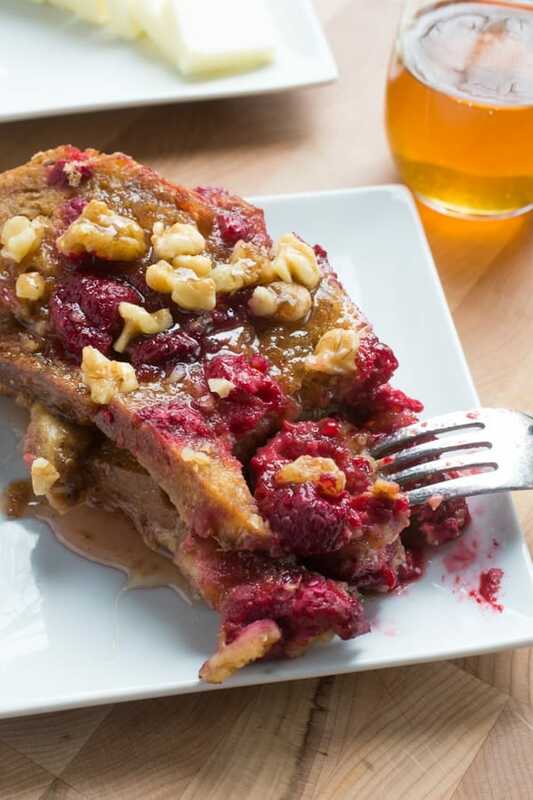 The ultimate make-ahead breakfast or brunch recipe, your friends and family will love this easy and delicious Apple Raspberry French Toast Bake. In a medium bowl, whisk together eggs, milk, apple butter, vanilla, cinnamon and nutmeg. Pour mixture on top of the bread making sure that each slice is fully immersed in the liquid. Sprinkle evenly with raspberries, walnuts and brown sugar. The next morning, pre-head oven to 350 degrees and bake, uncovered, for 45 minutes. Serve with maple syrup and butter if you wish. Disclosure: I am honored to be a Brand Ambassador for Musselman’s Apple Butter. Thank you for supporting the brands that make The Lemon Bowl possible. All thoughts are my own. Want more Healthy Breakfast Ideas? What a great make-ahead breakfast for when you’re hosting! I used applesauce instead because I had it on hand and was still good, though I bet the flavors of apple butter really knock it out of the park. It seemed to taste better after a second day, even, though that could’ve had to do with how congested I was and not the dish. Looking forward to making many variations of this! I’m so glad you enjoyed it!!! Totally in love with this recipe, Liz!! 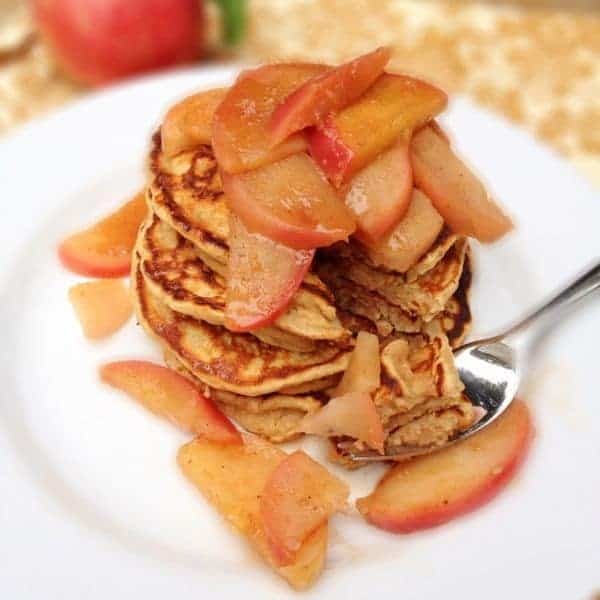 I want to eat it every Sunday morning for breakfast for the rest of the summer :) And the addition of apple butter is genius for that apple undertone. <3 Musselman's, especially now that they're HFCS free, yay! We made a version of this again today for breakfast!!! I can’t quit apple butter! Well, now those eggs I just ate for breakfast just aren’t cutting it! I need this fun french toast bake in my life! Love the addition of apple butter! You need a redo lady!! hehe Thank you! I think I know what I want to have for breakfast EVERY SINGLE DAY for the rest of my life. No joke, this sounds so good! I mean seriously girl! You’d love this! French toast has always been one of my favourites! These flavours are fab in it too. Aww thank you lady! Hope you’re doing well! 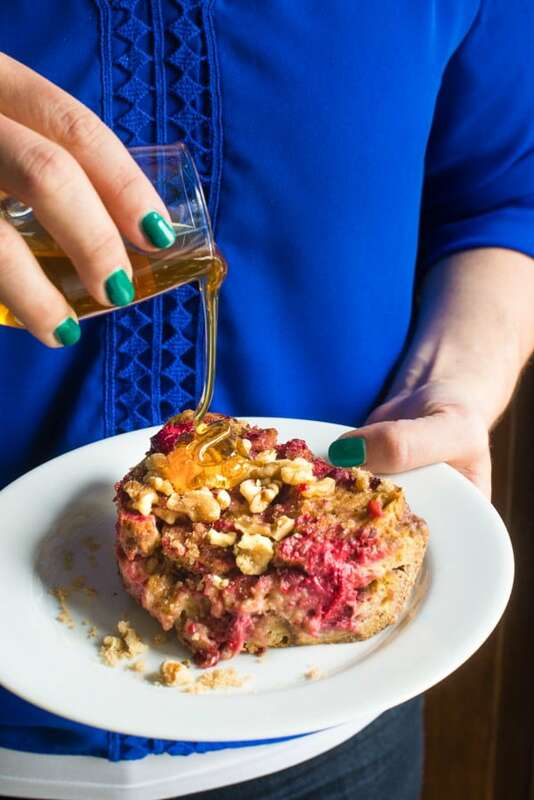 That pour-over pic though…;) Such an awesome recipe Liz, I would’ve never thought about using apple butter in a French toast bake. Genius!